This Committee meets quarterly to deal with matters pertaining to the efficient management of the Cemetery and Allotments at Ilex Lane off Sandford Road. The Allotments were established in 1976. The twenty productive plots are rented on an annual basis to local residents. At present, owing to an increased interest in home grown produce, there is a waiting list of prospective tenants. pertaining to the efficient management of the Award Land. There is a Management Plan for this area. 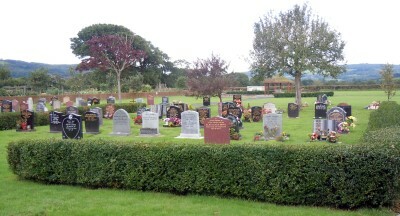 The Cemetery area dates from the 1960's, has graves, 'vacant' plots, and a separate section for people's ashes. The whole area is in a tranquil setting away from traffic. A cemetery orderly is employed to look after the area.